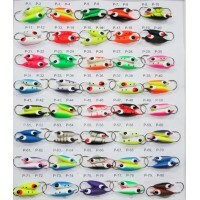 Colorado # 6 Spinner Blades 3 per Package all the same Color..
Soft Humpback Floating Jigs w/eyes in 8 colors and size 1/0 hooks on the Large size and size 2 on th..
Hard 1/4oz. 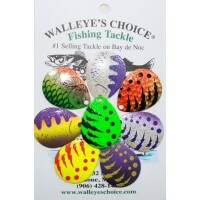 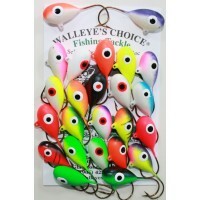 size Floating Jig heads with size 2 hook with 17 colors available. 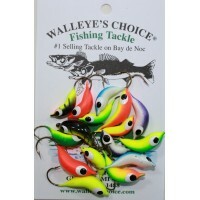 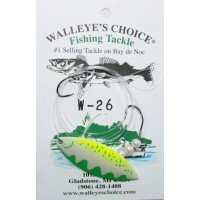 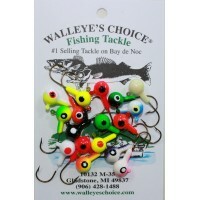 3 Per Pack..
Soft Floating Jigs In Small And Large Sizes with 40 Color combinations. 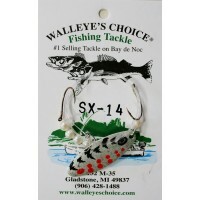 Small size has a number 2 ho..
SX series is a fast spinning size 7 (2"x3/4")blade. 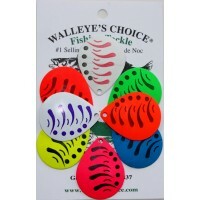 We have 18 colors with Glitter Finish, # 2 VMC h..
All harnesses are 42 inches long and made with 20lb test line and have VMC hooks 9299BZ in sizes 2 a..